Share your location and geotag your post. You can find more details about all these features at the Blogger Buzz Post. The app does a neat job though it doesn’t give you much power in formatting your posts properly. This is the first ever version of the official Android App, so maybe we could expect many more features in the future. Nice. But i've been using my Nokia 3230 phone to build my blogger blog and it's so amazing. Anyway Thanks for the info. It's great that Android has finally reached Blogger, that should give it a boost given that Word Press is hogging a large portion of the blogging sphere. thanks for the information.But how to build a blogger blog to my nokia N97? This is really great news. So need to have a big and weighty laptop. 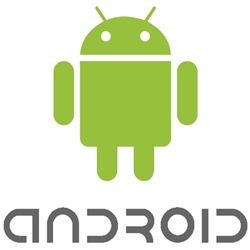 Just all need is have a Android device. Thanks for alert. Being ablen to switch between Google accounts is really helpful for multitasking, which is what a lot of Android owners do. I'm very glad I found your blog!! Who needs Blogger on the Android if you have it on the computer? Well hoping for more advanced features in the coming weeks. I have used this one for several of my blogs and it is pretty good but still needs a little more extensability. I do agree it is good, but it could be a bit more extensive as mentioned. Only for android app store....and for blackberry? That exist? wow.. blogger is universal! from computer alone before to mobile phones now. thanks!